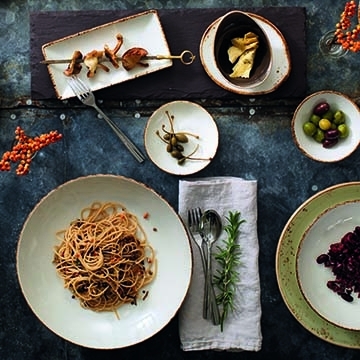 Steelite’s Dapple china pattern manages to combine all the comfort and warmth of grandmother’s kitchen with contemporary style and versatility. This household classic is every bit on trend and ready to serve up your chef’s most inspired and innovative creations. 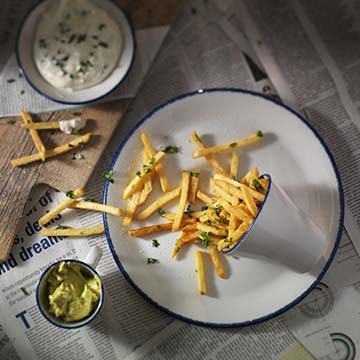 Add the benefits of Steelite’s lifetime chip edge warranty and you are adding to bottom line savings! Available in blue or brown, and sporting a variety of traditional rim and coupe shapes, Dapple is the perfect blend of yesterday and today!